The Cameo has a walk-through kitchen area that leads to the dining room. 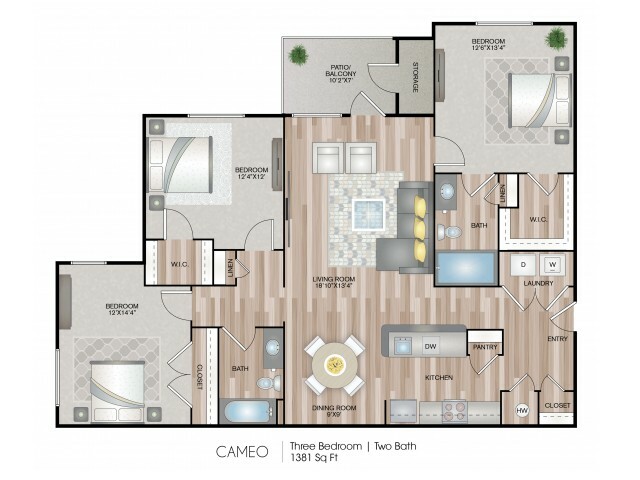 The living room has a ceiling fan and access to the balcony and storage closet. The master bedroom has a private bathroom and walk-in closet.